In Nov 2017, Sri Lankan Education Minister, Akila Viraj Kariyawasam, proposed to use QR Codes for student identification. 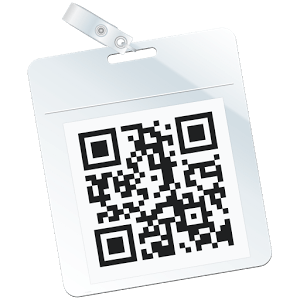 Under this initiative, every student will be assigned a unique QR Code for identification. The students’ fingerprints and unique numbers, will serve as a source for identification. How? Fingerprints and unique numbers will be linked to the QR Codes for each student. This will be mandatory for admission to a Government school. In addition, this move might also curb any malpractices during examinations. This isn’t the first time any that schools are adopting the QR Code technology. India, the neighbouring country of Sri Lanka, also uses QR Code technology for education. QR Codes are mainly used here to dissuade fraudsters from creating false documents. Read here to know how India uses QR Codes in Education. For example, in 2017, in the state of Madhya Pradesh, the Education Board added QR Codes on high school certificates. As a result, students could share their documents easily. And it also allowed necessary authorities to validate the document. One could scan this QR Code using a mobile app on a smartphone. Hence, it became easy to view the student’s mark sheet and other documents. Similarly, Mumbai University also uses QR Codes on degree certificates to stop circulation of fraudulent documents. Another deemed university in India, the APJ Abdul Kalam Technical University, Lucknow added QR Codes on student’s certificates. That’s all you need to know about how schools is planning to use QR Codes in school. What are your views on this move? Share your thoughts in the comments section below.